Do you think all margarita machines are created equally? Think again. Save yourself the headaches for after the party instead of before by renting a margarita machine that will have your guests raving about your delicious frozen margaritas. We have personally used several of the brands available for rentals and for the most part they will all eventually produce the frozen margarita you desire but a few do it better than the others. Typically, a company will list the type of machine they provide which is an extremely important piece of information. We personally recommend the Crathco Grindmaster 3311 or similar model. Some companies have a similar brand called the Frosty Factory Frozen Drink Machine which looks and functions like the Crathco. These are heavy duty stainless steel margarita machines that you will commonly see in restaurants. The ingredients are mixed into the top and feed down into the cooling chamber as drinks are poured. When the top portion hits a low level, it will remind you with an annoying screeching beep that it is hungry for more liquid. This creates a never ending flow of consistent frozen margaritas. The machine freezes quickly too, roughly 30 min, and we have tested it indoors and outdoors. We have also rented the BUNN machine and Parrot Ice as well. The Parrot ice has similarities to the Cratcho and freezes quickly but has plastic coverings all over which makes it fragile and adds to the cleaning process. We recommend staying away from the BUNN unless used under optimal conditions. The plastic containers have thin walls so any increase in temperature can cause delays in freezing which already take over two hours when connected indoors. Using these outdoors is not recommended as you will just end up with cold liquid. Another item to check on is if the rental company requires you to use their provided margarita mix which usually comes in an unnatural neon green color concentrate form. It is going to be a cheaper alternative but the quality of drink will suffer. Don’t rent a top quality machine only to put antifreeze looking margarita mix in it. 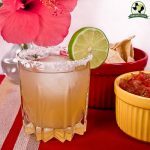 All of our margarita recipes can be scaled up to fit the machine size but we would caution against throwing in fruit or solids as it could cause problems stopping up the moving parts and make cleaning a disaster. This is why the rental companies want you to use their product because they know it will not mess up their equipment. Lastly, follow the rental companies guidelines for usage on power. If they do not provide this information, make sure you ask. 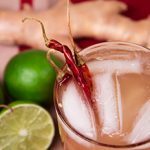 Most require a dedicated electrical circuit so if you are running a margarita machine, lights, and a stereo off of one circuit, you may have a hard time achieving a frozen drink or add hours to the time it takes to freeze. Adding a margarita machine to your party is almost a guarantee for success. Hopefully, these tips for renting a margarita machine will help you avoid having your guests arrive only to end up pouring neon green somewhat cold liquid into their glasses.